We are a leading Supplier & Manufacturer of Wallets such as Black Leather Pouch With Cellular Pocket, Coin Pouch With Loop, Double Frame Coin Purse With Zipper, Coin Purse With Key Ring, Leather Patch Coin Purse, Mini Coin Purse. Setup charges may apply. Please call us for details. 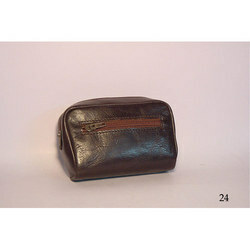 Looking for Leather Coin Purse ?